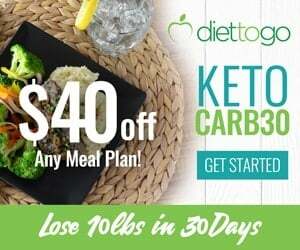 Cooking is a big part of our lives and takes lots of time, we’re trying to make that time as profitable as possible by making healthy dishes, cooking with our loved ones or testing our skills and creating unique foods. Some study claims that one in five people admit that they don’t even know how to boil eggs properly. Did you know that there are over 200,000 searches per month in Google for ‘how to boil eggs‘ in the United States alone?! 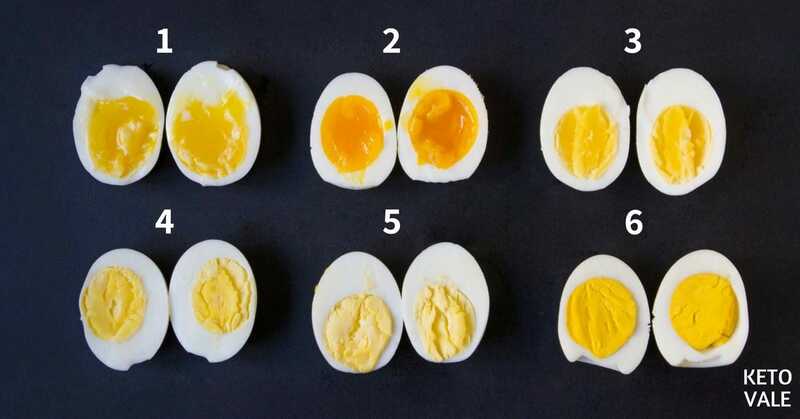 In this post, we will show you our little experiment to show what the eggs look like after every 2 minutes of boiling. 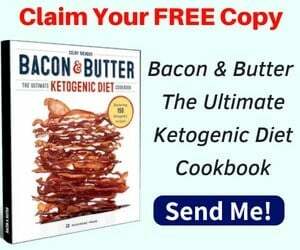 Knowing the basics can also help to prevent unwanted disappointments along the way and learning the origin of products and understanding the process that lies within will help with creating your own recipes. That’s why at the best cooking schools in the world, the first year is spent on just learning the basics. 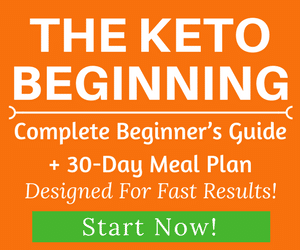 But even the simplest cooking still has its secrets and techniques to make a perfect result. Boiled eggs – the simplest dish, perfect for breakfast and does not require effort or time, but its preparation has its secrets. For example, a lot of people think it’s useless to add salt into the water while boiling eggs, but the salty water actually helps. If your eggs have even the microcracks, salty water prevents the eggs from cracking. Also, it makes a certain pressure inside the egg so that it won’t lose its visual features after peeling. The salty water makes the heat distributed uniformly which obviously is very important for evenly boiled eggs. 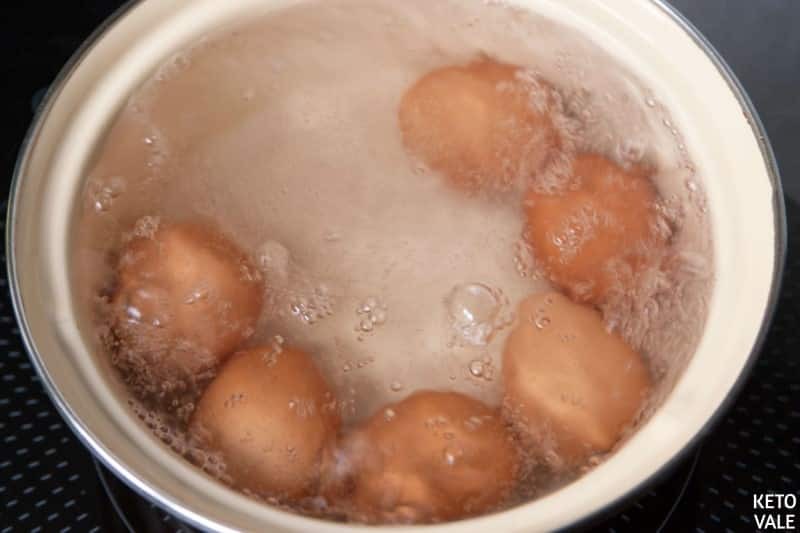 How Long Does it Take to Boil Eggs? The temperature of the egg you start with: the egg from the fridge or room temperature. The water temperature you use to boil (hot or cold). 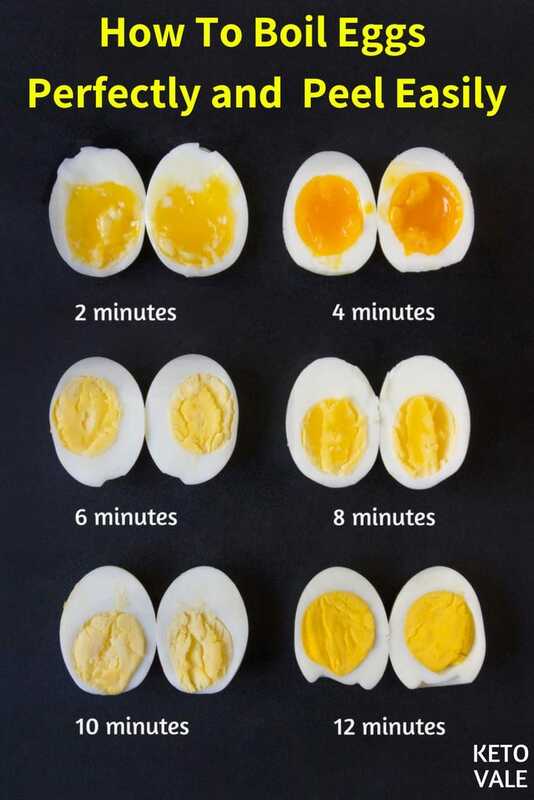 For runny soft-boiled eggs, it takes 2 minutes. 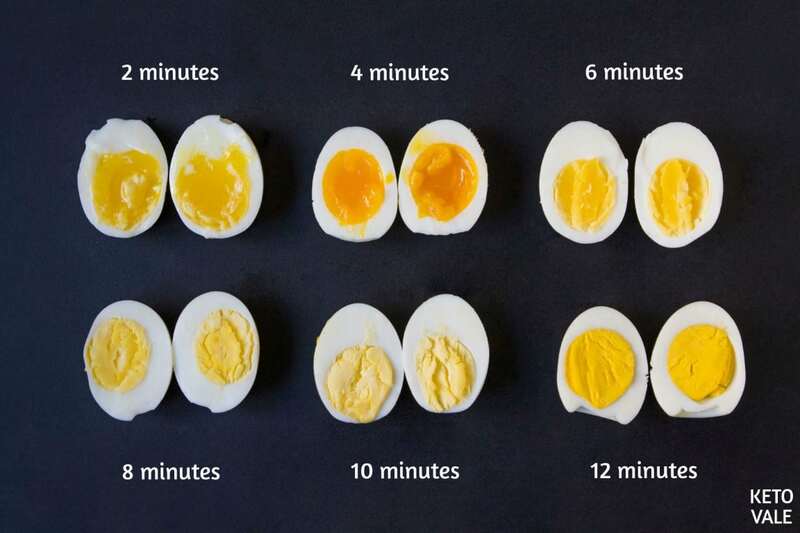 For very firm hard-boiled eggs, it takes 12 minutes. 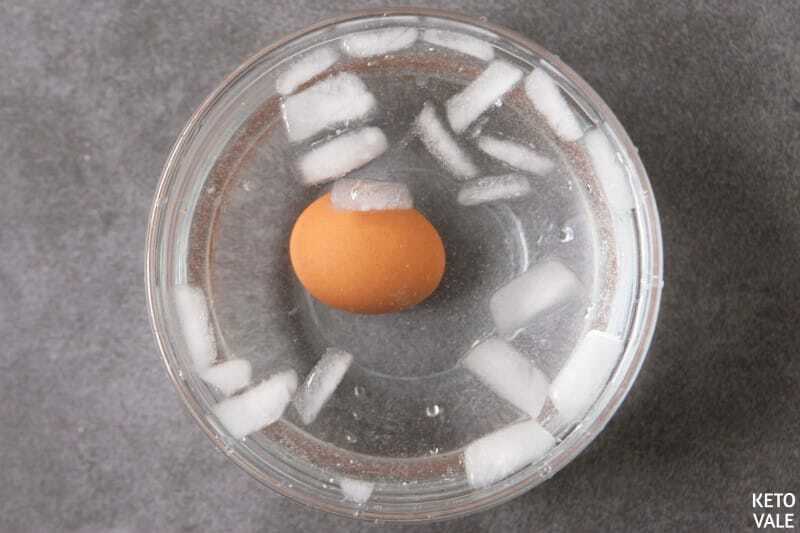 For this experiment, we use cool eggs that are stored in our fridge. 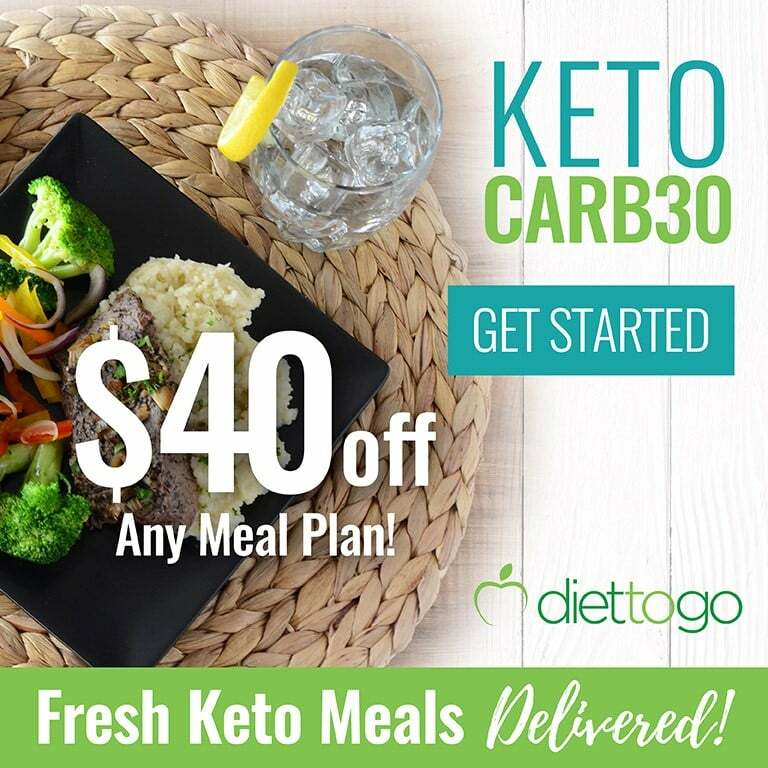 We will be using cold tap water. 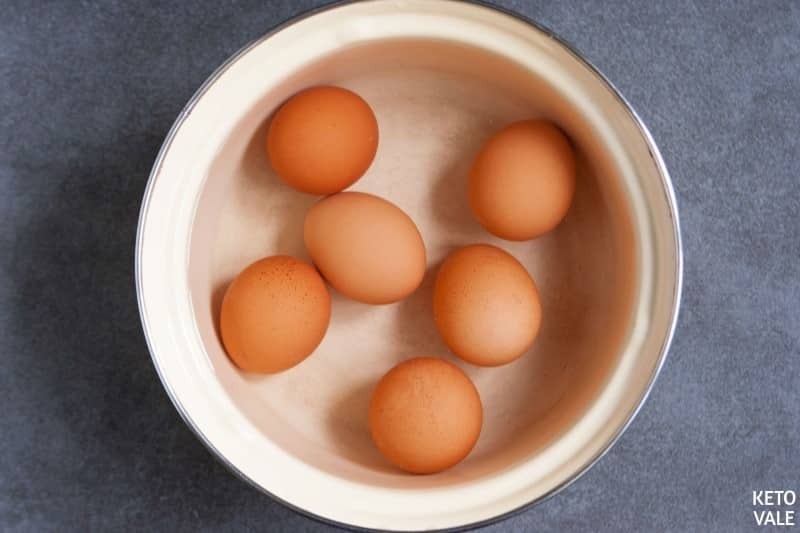 Place 6 eggs right from a fridge in a saucepan gently and fill the pan with cold water to cover the eggs by an inch. Bring the water to a boil over high heat. Add the vinegar and a pinch of salt. This helps make the eggs easier to peel and salt helps to avoid cracking during cooking. 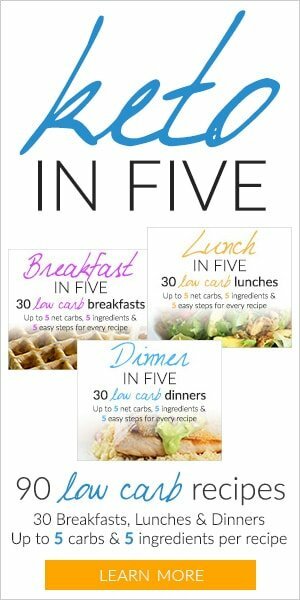 Reduce the heat to minimum and continue to cook for 2-12 minutes, depending on what kind of eggs do you want. To peel the egg easily, fill the bowl with cold water and ice. When your desired cooking time is up, use a slotted spoon to take the eggs and place them in the ice water bowl. Let cool for at least 1 min. Peel the eggs and enjoy! For runny soft-boiled eggs, remove egg after 2 minutes of boiling. For very firm hard-boiled eggs, remove after 12 minutes of boiling. Or you can choose your perfect egg anytime in between. Fill the saucepan with cold water. Place 6 eggs right from a fridge. The water should cover the eggs by an inch. Bring the water to a boil over high heat. Add the vinegar and a pinch of salt (adding the vinegar helps make the eggs easier to peel and salt helps to avoid cracking during cooking). Reduce the heat to minimum and continue to cook for 2-12 minutes, depending on what kind of eggs do you want (for runny soft-boiled eggs - 2 minutes - for very firm hard-boiled eggs - 12 minutes). Fill the bowl with cold water and ice. When your desired cooking time is up, take the eggs out of the pan with a slotted spoon and transfer to the bowl with ice water. Leave the eggs there for at least 1 min. Peel the eggs and enjoy!